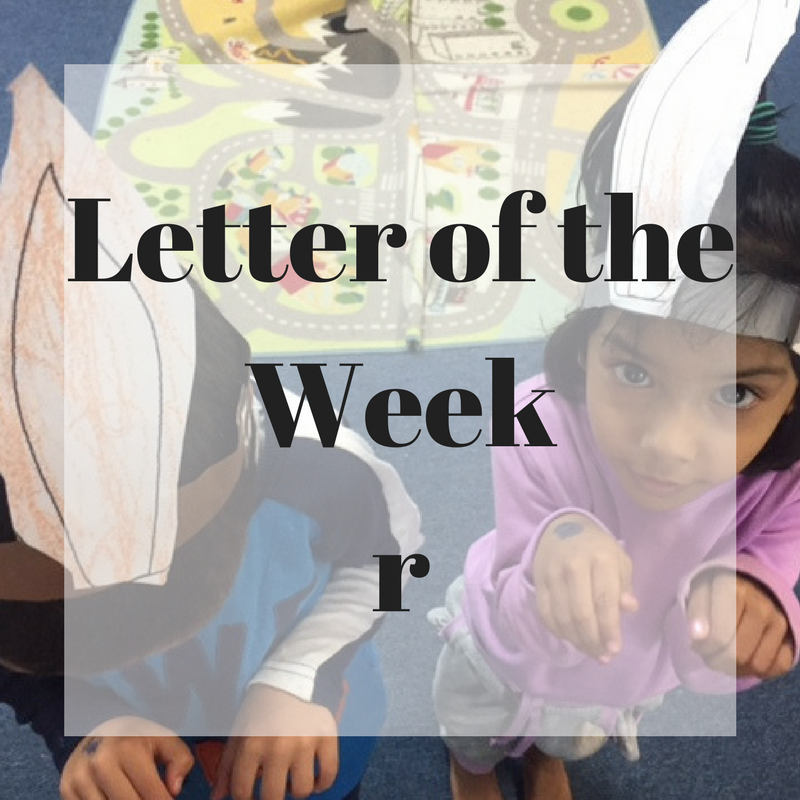 This week in our prekindy classess, children learnt the letter r and it's sound. Below are some of the things that we did. The children practiced writing it. You can go to my teacherspayteachers store to download the free alphabet tracing sheets. 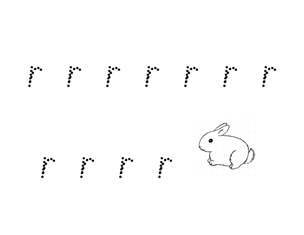 This is what the letter r sheet looks like. The children made rabbit ears. I drew two rabbit ears onto a piece of paper and photocopied them. The children then colour and cut them out. I then taped them onto a strip of paper to form a headband around their heads. With the rabbit ears in place, the children hopped around pretending to be rabbits. They really loved this part. We've also read lots of books with things that starts with the sound of the letter r such as rabbits, of course, robots, racing cars, rain and rainbows, red things and rockets.